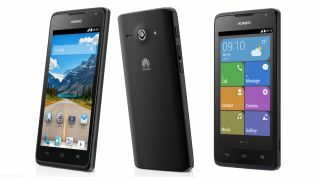 Huawei has announced the UK launch of its entry-level Ascend Y530, which offers two versions of Android 4.3 Jelly Bean. The phone is available to grab right now over at Argos (before hitting other retailers in March) and for £150 you'll be getting yourself a mid-range handset with a 4.5-inch, 854 x 480 display. Inside is a 1.2GHz dual-core Snapdragon processor, 512MB of RAM and 4GB of expandable internal memory. There's also a 5MP camera on the rear and a front-facing VGA snapper. Sure, those specs aren't going to blow anyone away but with the option to jump from Huawei's Emotion UI to Huawei's more accessible 'Simple Android Interface', it could be a good starting point for any smartphone novices. We'll be checking out the handset at MWC 2014, so keep an eye out for our hands on: Huawei Ascend Y530 review.